The third week of October is a much anticipated time for beer lover’s ale in North Carolina. 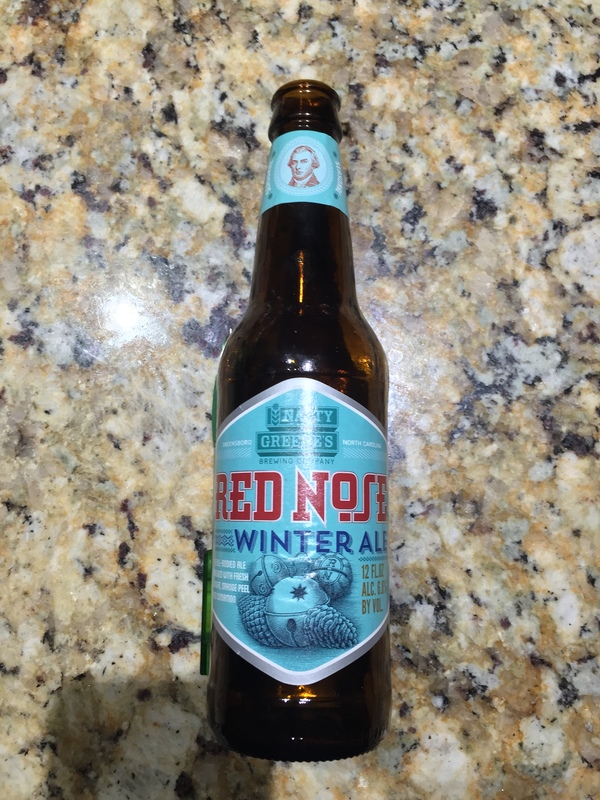 That is the week Natty Green Brewing Company releases their winter seasonal beer “Red Nose Winter Ale”. Red Nose is really all about the season. This the classic American ale only sweeter than an amber. Lots of caramel malts are balanced with the perfect amount of hops to create a smooth balanced taste. Along with that balance comes the spice profile to present the aroma of the ale. The smells of ginger, orange peel and cinnamon really bring out the thoughts of the holidays and that special meal making the home smell so good. Red Nose is a rich ale that easily stands up to all the hearty meals of winter Serve it with stews, and roast beef. It would also make a great choice for that holiday meal. Red Nose is produced October thru January.